The finest auto dealerships in the country are choosing AutoFloors to enhance their detail bays, service writer drives, parts departments and service areas. AutoFloors rubber flooring is a cushioning surface that buffers clanging and clattering noise in the workplace and provides a comfortable surface for technicians. Its slip resistant surface improves safety. AutoFloors come in 12 standard colors and 2 surface textures that can be combined for a clean, bold graphic look that coordinates with equipment. The flooring can be customized with logos, safety markers, directional arrows and bay numbers for efficient communication. 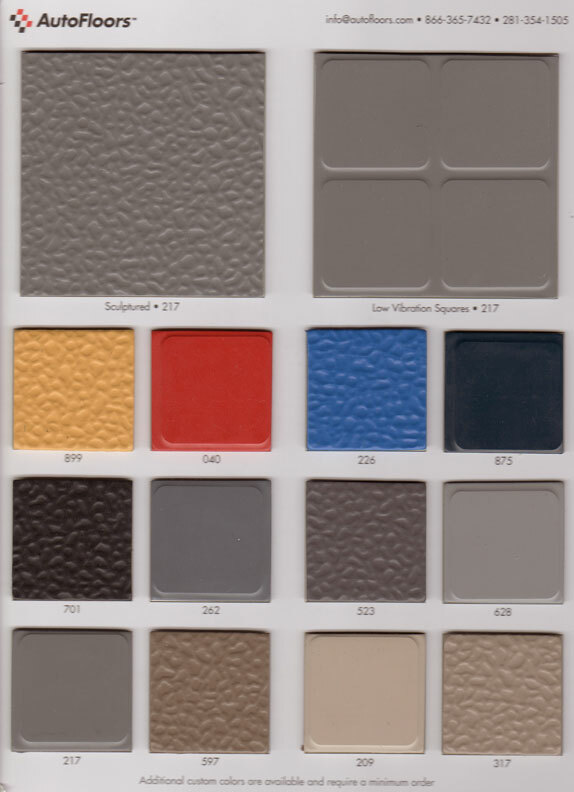 Custom color options are available with very low minimum square footage requirements. You will find AutoFloors rubber flooring installed in facilities from national service providers to your regional independent operations.